Join Santa Incher and his elf Jack for this special Christmas bonus edition of IYH. We talk about the DVD releases of the year, and go off topic for most of the show. 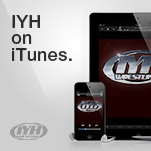 From everyone at IYH...Merry Christmas and Happy New Year !!!! We went over the PPV, RAW, ECW, TNA and a plethora of other topics. Was this is the worst show ever or simply another gold-mine of IYH goodness ? You be the judge !!! 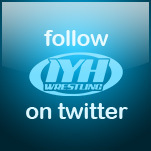 Audio Wrestling Awards Vote IYH!!!! Xtreme View : It?s not going to work anymore! ECW: Vince what the f*** are you thinking? George South joined us for over 2 hours. George discussed many topics and told many stories, comparing today's wrestling to traditional wrestling. For more information on George's wrestling school please visit http://www.georgesouth.com. We were also joined by Big Dave "It's Still Real To Me, Damn It" Wills.